Is this real? What is it a result of in the plane mechanics? its a couple of flares. more importantly, it looks like FSM. Oh, yes. I see how the Flying Spighetti Monster comes into play with this. Very profound of you, Mr. Bond. 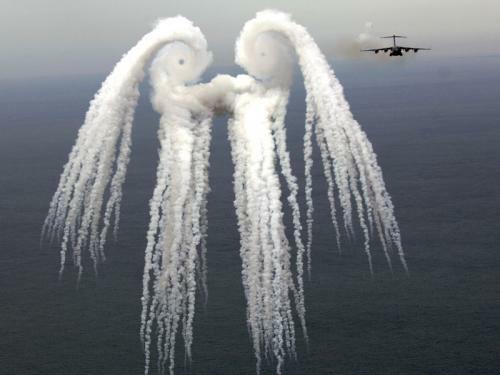 Hippie Cthulhu in the Sky!